Ironing is the best method to create a crisp finish for cotton and linen items. However, applying direct, high heat on fibers is intense and should be done with caution. The tag will tell you if the item can be ironed and which iron setting you should use. Test a small area to ensure it's safe to iron the item. Cottons and linens are always safe to iron. 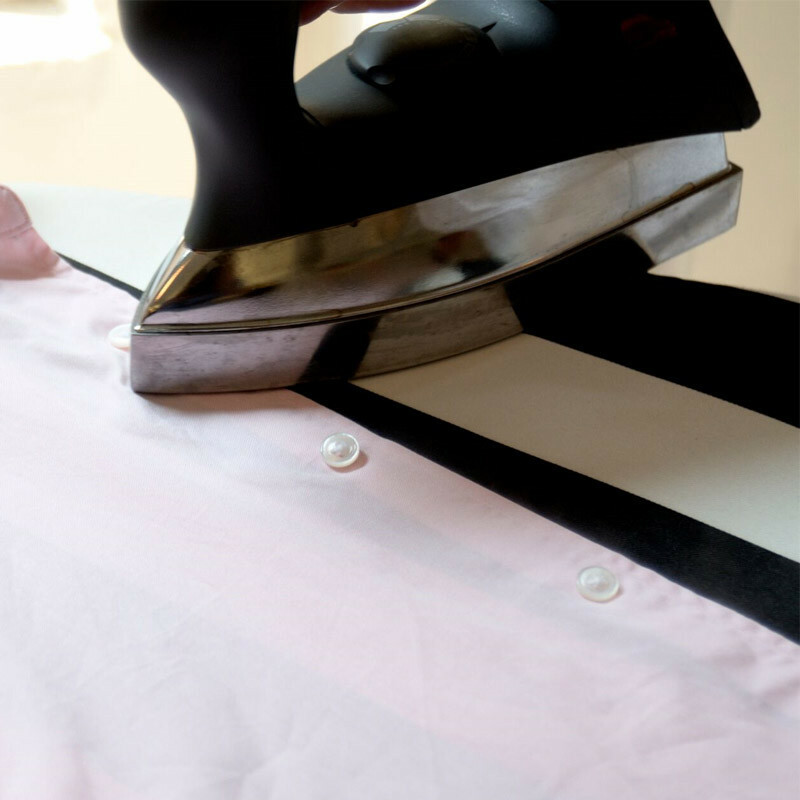 We recommend ironing items inside out in the event that the iron leaves a mark. 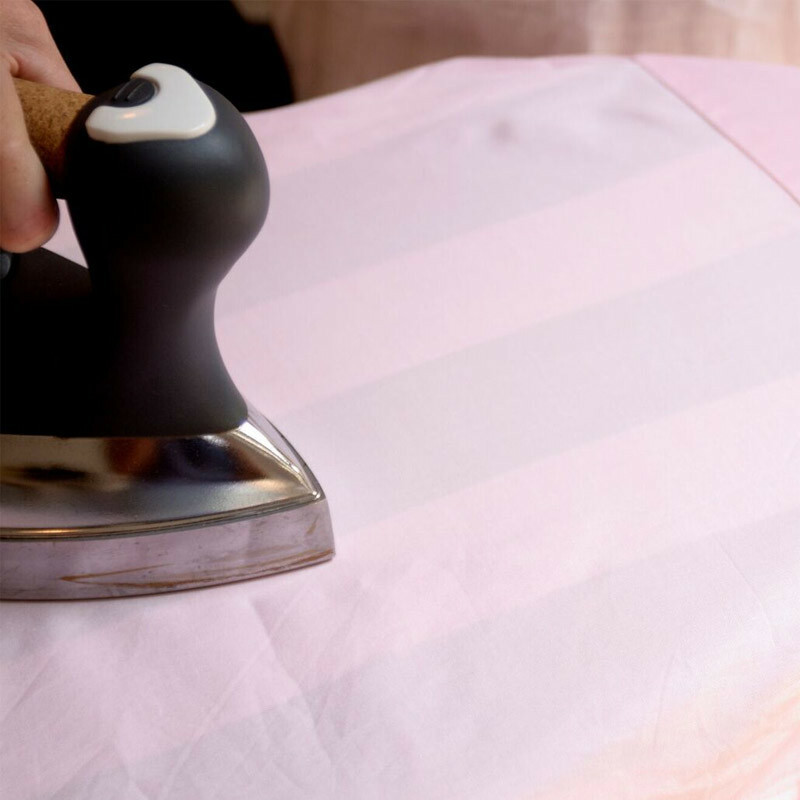 If you're ironing a delicate, silk, or embellished item, we recommend you use a clean, white, lint-free cotton pressing cloth between the iron and the item. Flour sacs or hankies also work for this purpose. We use our Lint-Free Cleaning Cloths. Be careful when ironing beading, sequins, or embroidery; you could melt the embellishments or hardware. You could also press the item into the fabric, leaving marks on the other side. A pressing cloth will help protect embellished items. If the item is dry, it helps to spray the area damp before pressing. Never iron wool, velvet, or corduroy—on any setting. They can burn, melt, or leave scorch marks behind, especially on synthetics. Or, they could press unwanted marks into the fabric. To avoid a mess—just test! Spray our Crease Release on clean, dry items before you iron. Add ironing water for added fragrance. We use our Ironing Water. Add starch for an extra-crisp press. We use our Stiffen Up. Prep: Check for grime on the bottom of the iron and clear the ironing board of debris. Start Wet: Cotton and linen items that require pressing should be removed from the dryer while still damp. If the items are dry, it helps to spray the area damp before pressing. Heat: Adjust the iron temperature to match the fabric indicated on the tag. For an oxford cloth shirt, use “cotton/linen.” For synthetics, test a small area to ensure it’s safe to iron. Add a capful of Ironing Water to your iron for a fragrant finish and to ease ironing. 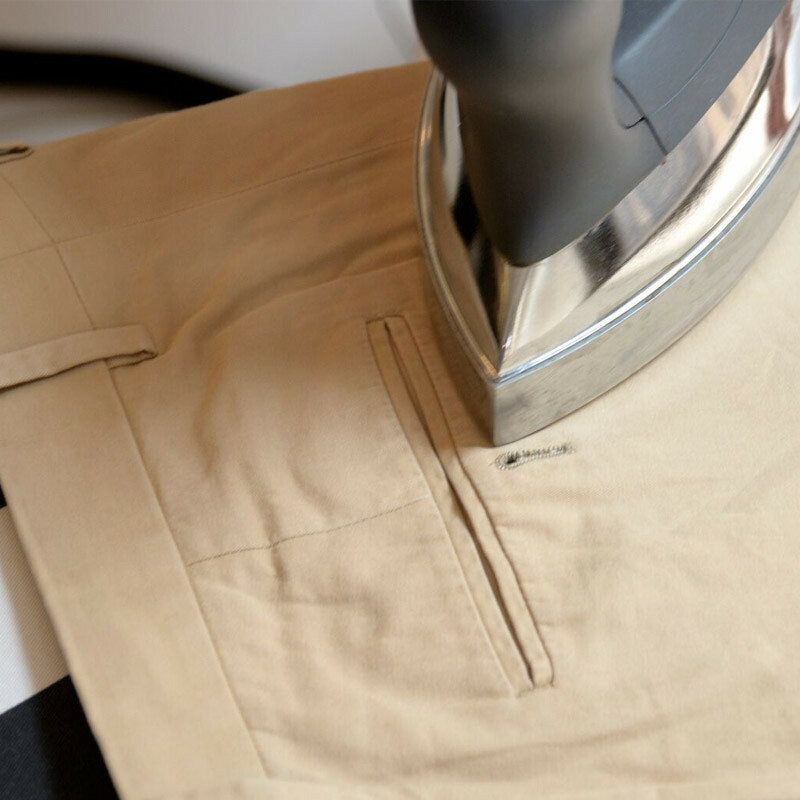 Never iron wool, velvet, or corduroy as ironing will crush or flatten the natural pile. While ironing cotton, linen, and durable synthetics (such as polyester), spray with Stiffen Up from 6 inches away for a crisp finish. Never starch silk, silk-like fabrics, delicate synthetics, wool, cashmere, and wool-like fabrics. Pop the collar and iron from the tips toward the middle. Iron the inside, flip, and do the outside. Don’t turn down the collar until the rest of the shirt is ironed. Be careful not to iron a crease into the collar. Starting on the inside, iron from the bottom edge toward the sleeve. Flip the cuff and repeat. Also poke the tip of the iron into the pleat(s) just above the cuff. Hold up and tug taut along the seam so you’ve got a crisp, straight fold from shoulder to cuff. Lay the sleeve on the board, and ensure both layers of the fabric are smooth. To easily correct any creases, do the back of the sleeve first and save the front for last. In long sweeping strokes, iron a straight solid crease. Slide the armpit part of the sleeve over the tip of the ironing board, and iron flat the shoulder. 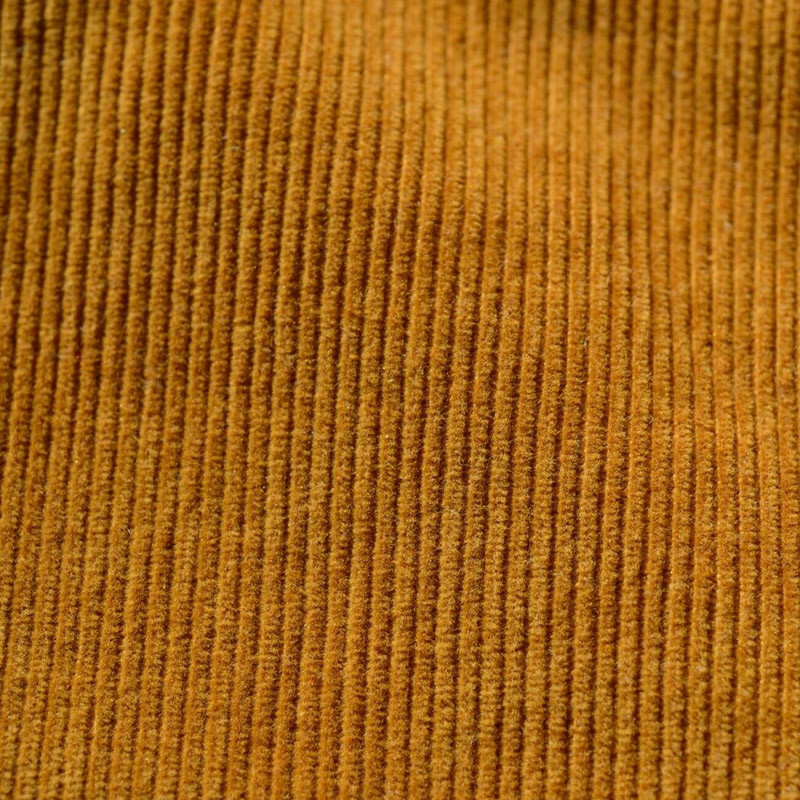 Staying in that position, hit the yoke (the double-layer strip that connects the collar to the shirt body). Swing the iron from shoulder to mid-back. Switch shoulders and repeat. Front non-button side: In long strokes from the collar moving down, start with the placket (the front strip with the buttonholes). Pocket: Iron from the bottom up. Back: Iron below the yoke from top to bottom. Front button-side: Maneuver the tip of the iron, weaving in and around the buttons. Done: Hang it up so you don’t have to do it again (wooden or well-shaped hanger preferred). Select the proper iron setting according to the fabric care label. For cotton pants, use the Cotton setting; for synthetics such as polyester, use the Synthetic setting. Press the waistline, zipper/placket, and other areas with double or thick material such as the hems. When ironing pockets, lay pants flat, and turn them inside out if you're not able to reach the pockets otherwise. Be careful pressing the exterior areas directly over the pockets. You do not want a pocket outline! Press the pant leg from the top to the bottom, sliding the iron straight. Then rotate the pants. If the item has pleats, make sure you're pressing along the pleat line—you don't want to create new pleats. Press the pant hems and cuffs both from the inside and the outside for a proper finish. Iron the item in a manner that prevents previously pressed areas of the garment from wrinkling as you work. Make sure the ironing surface and the floor area beneath the ironing board are clean. We like to put a clean drop cloth on the floor beneath the ironing board to avoid dirt, stains, and lint. Systematically rotate the sheet as you press. That way, you're only working on half, a quarter, or a third of the sheet at any one time. It's okay if part of the sheet hits the clean drop cloth as you iron. Then iron both sides of the folded sheet. Bring the fold to the hem and iron both sides of the folded sheet. Again, bring the fold to the hem and iron both sides of the folded sheet. To finish, fold the sheet lengthwise. For a more casual finish, you can alternatively steam the sheets. 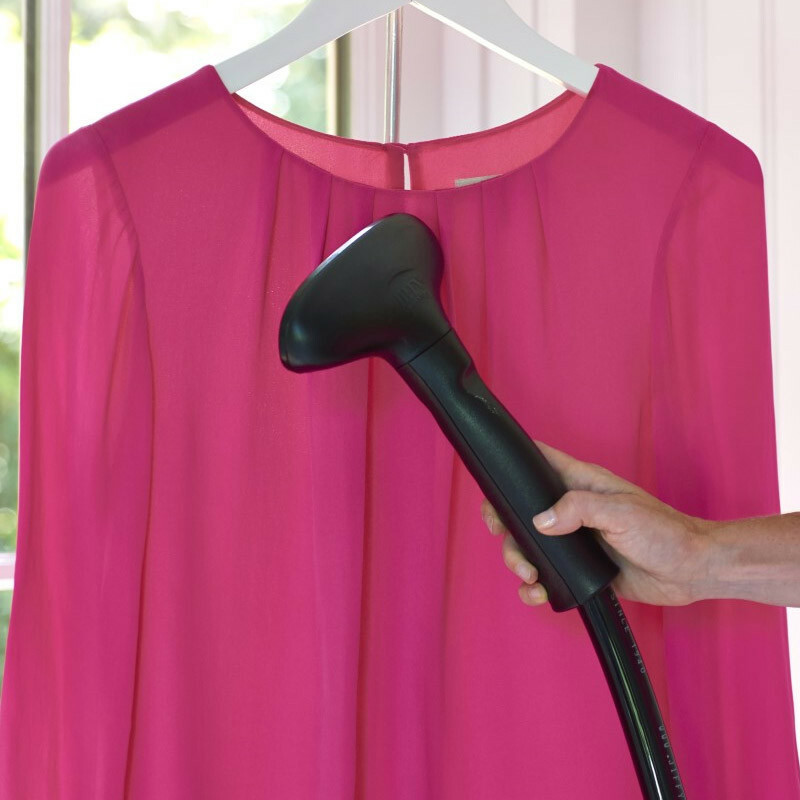 Use a steamer to smooth out the wrinkles. Not only does steaming avoid any risks posed from ironing (such as burning and unintended creasing), but the steam kills most germs and bacteria, which helps eliminate odors. Steaming also works great to freshen a mattress! Silk, silk blends, and silk-like and delicate synthetics are often too sensitive for direct contact with an iron—they could burn, melt, or scorch. The best method to finish delicate items is to steam them using a steamer. If you don't have a steamer, you can set the iron to the “Steam” function and hover over the item without touching it. 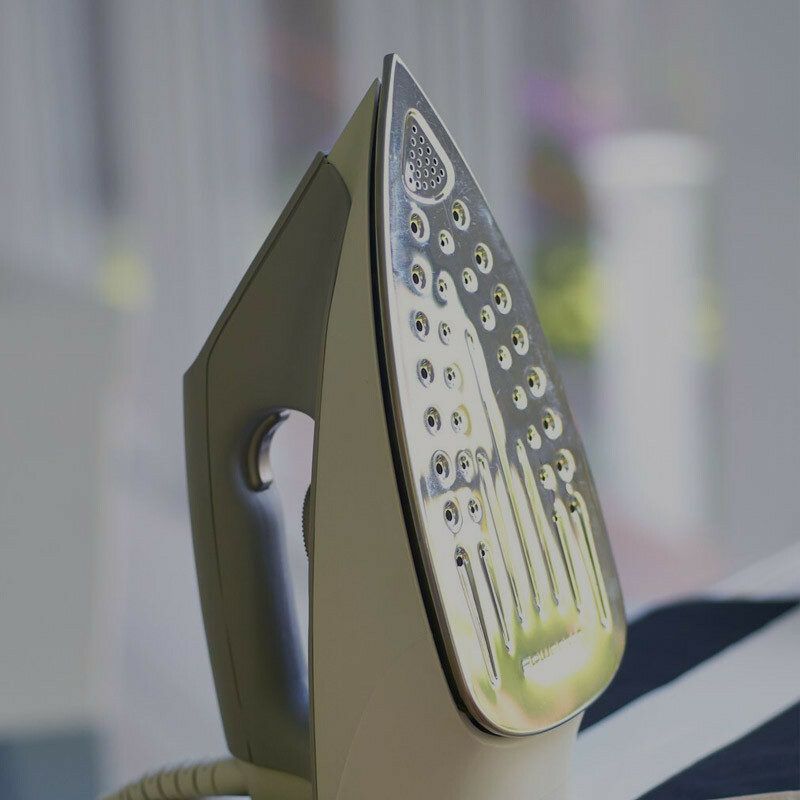 If you choose to iron delicate items, you must set the iron to the Silk, Delicates or lowest temperature setting. If the item label reads “Do not iron,” then don't iron the item—trust us. Test a small area to ensure it's safe to iron the item. Use a clean, white, lint-free cotton pressing cloth between the iron and the item. Flour sacs or hankies also work. We use our Lint-Free Cleaning Cloths. Be careful when ironing items with beads, sequins, or embroidery; you could melt the embellishments or hardware. You could also press the item into the fabric, leaving marks on the other side. A pressing cloth will help protect embellished items. Don't iron items made from any of these fabrics—on any iron setting. Ironing crushes the pile of these materials. Don't iron them. These fabrics are often too sensitive for direct contact with an iron—they could burn, melt, or scorch. The best method to finish delicate items is to steam them using a steamer. 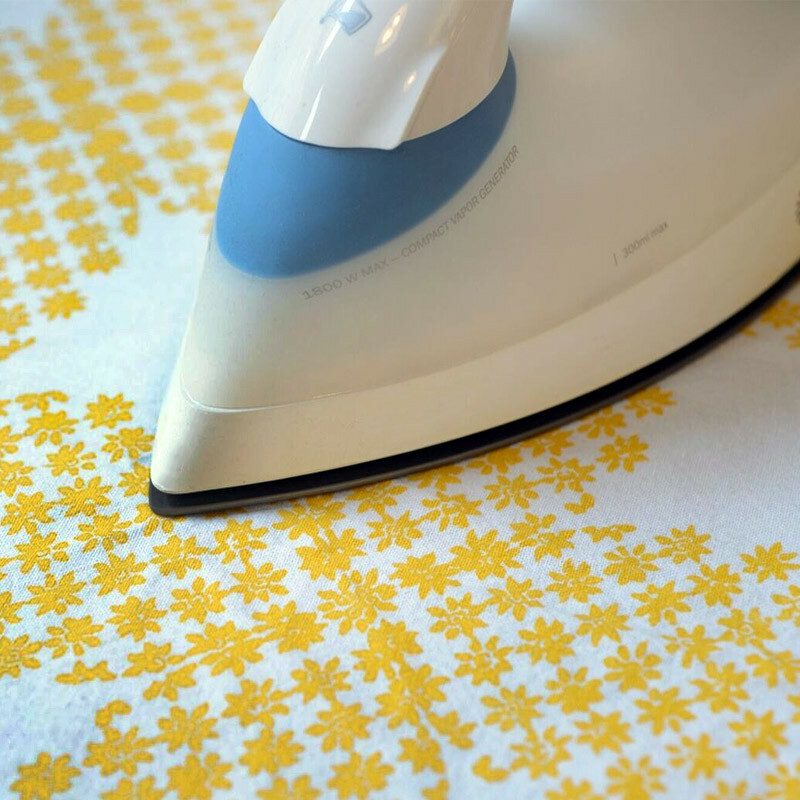 If you don't have a steamer, you can set the iron to the “Steam” function and hover over the item without touching it. If you choose to iron delicate items, you must set the iron to the Silk, Delicate or the lowest temperature setting. If the item label reads “Do not iron,” don't iron the item—trust us. Not sure which path to take? Steaming provides the safest and gentlest finish for laundry items, releasing wrinkles for a natural finish. Not only does steaming avoid any risks posed from ironing (such as burning and unintended creasing), but the steam kills most germs and bacteria, which helps eliminate odors. We only iron items when we want an extra-crisp finish.